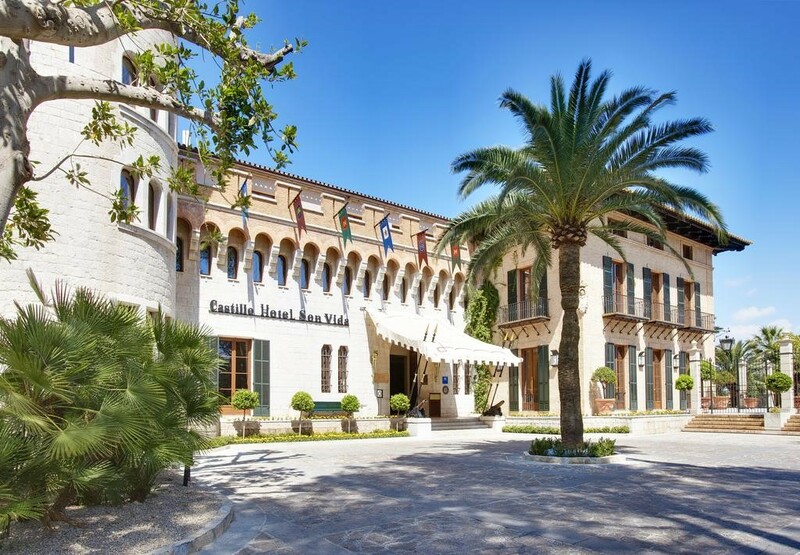 Castillo Hotel Son Vida is a turreted 13th century castle-style building surrounded by sub-tropical parks and four golf courses. The Son Muntaner, championship Son Vida, Son Quint and the nine-hole/par three Son Quint Executive Course, ideal for beginners. 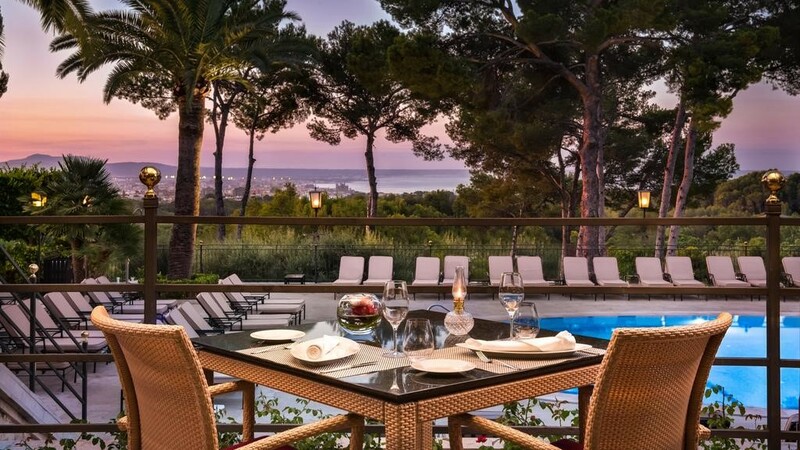 From its hilltop location the hotel offers spectacular views across the bay of Palma and the city below. Décor takes its inspiration from the stylish Mallorcan stately homes and precious antiques, while valuable paintings by significant artists embellish the walls of the hotel corridors, as well as each guest room and suite, where they sit alongside modern technology, internet access and pretty park or bay views. Complimentary internet access is available throughout the hotel. 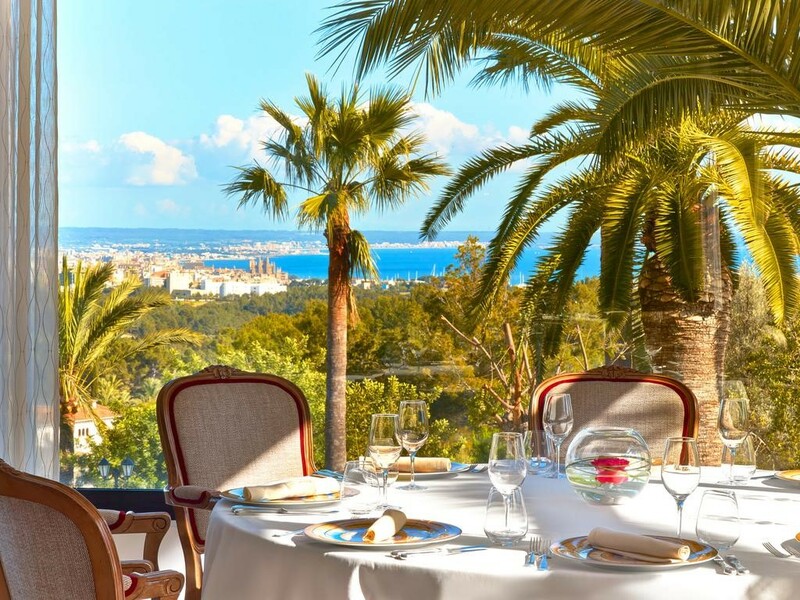 Hotel Son Vida offers spectacular views of Palma Bay and is set in a 13th-century castle. It features a free spa, 4 swimming pools and luxurious accommodation with free Wi-Fi. 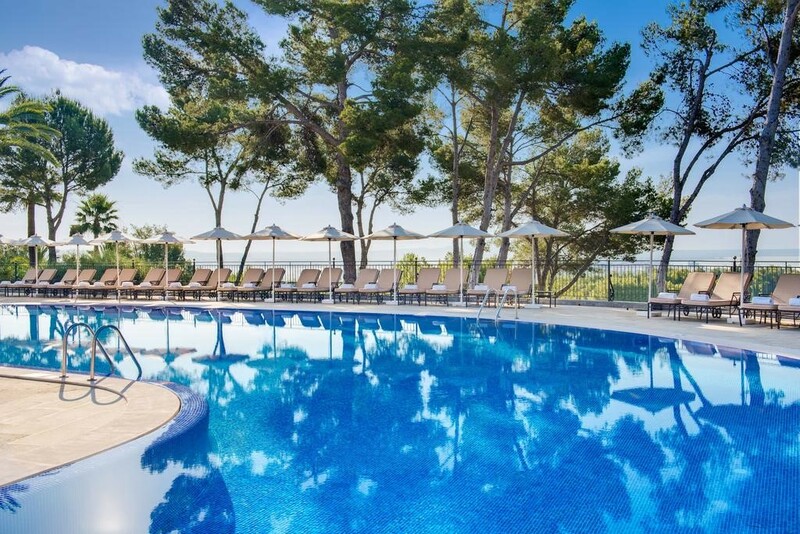 The hotel is set next to Son Vida Golf Club and the nearest beaches at Illetes are 15-minute drive away. Palma and its airport are 6.8 miles away. 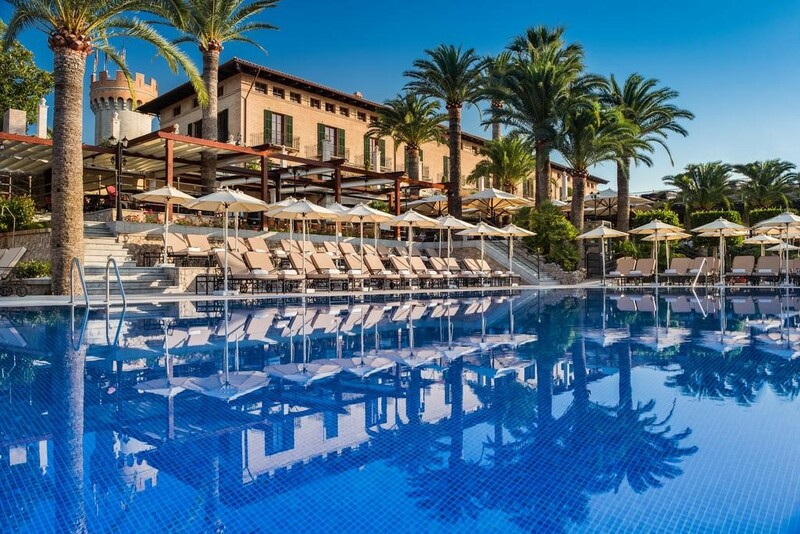 Whilst the property's health club is being constructed (November 2017 to June 2018), guests can use the Shine Spa at the neighbouring Sheraton Mallorca. There are four golf courses just outside the resort, that will appeal to beginners and more seasoned players. Guests of the hotel can swing their clubs at the Arabella golf courses; Son Vida, Son Muntaner (designed by Kurt Rosenknecht) and Son Quint, as well as the 9-hole Son Quint Executive course. The Son Vida and Son Muntaner courses have been skilfully blended into the spectacular natural scenery and are award-winning examples of responsible tourism and preserving the environment.